We all know Aer Lingus are the friendliest airline. But it seems they’re also up for a bit of craic as this video shows. 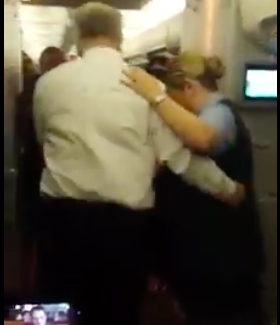 Flight attendant Orla O’Brien was serving on what seemed like a regular flight. But then an impromptu trad session started. And when the fiddle came out Orla and a passenger took to the aisles for a jig. Try and find another airline that will match that for inflight entertainment.